BIG NEWS!!!!! I have a brand new, interactive movie review website that allows you to review the films you've seen and comment on other reviews. Plus it has some other cool features as well. I'm going to keep this blog going for a while, but eventually everything will lead to the new site. You can check it out at clintsmoviereviews.com. I'd love it if you take the time to register (it's free) and do your own reviews. Yes, the rumors are true. Ed Skrein is, in fact, not Jason Statham. 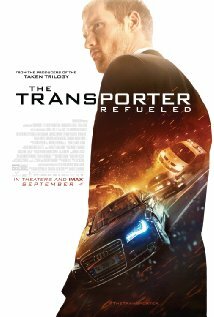 But this is still a good TRANSPORTER flick. Skrein does a fine job in the role and keeps the franchise moving forward. If you've seen any of these films you know that it's fairly important to check your brain at the door. The whole point of these films is to showcase incredible driving with spectacular crashes, big fights, gorgeous women, and a twisty turny plot that is complicated enough to keep the audience engaged. If you are going to see this in theaters, I highly recommend seeing it on one of the extra large screens with the best sound system available. It will add to the fun of the film. This of you that are wary about seeing this film because it isn't Jason Statham should rest easy. It is still a film worth seeing. This is one of those movies that is just sort of there. It's not bad, it's not great. It's mildly humorous with a couple of laugh out loud moments. It's not deep or as soul-searching as one might expect a "journey" film to be, nor is it a light and fluffy comedy. 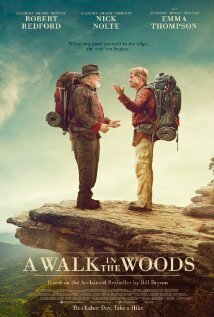 Redford and Nolte are okay in this movie, but nothing anywhere near award-worthy. They are really nothing more than a couple of guys that I found myself neither rooting for or against. They were just there. There isn't anything in this film that makes it worth seeing on the big screen. The character development could have been much better, and the following of their journey is all but superficial. Plus, this film is only rated R because of language. They could have easily cut the language and made this a PG or PG-13 film to make it more accessible to the audience. It'll make for an okay Netflix night a few months from now, but you'll forget this film soon after. This is easily one of the most annoying films I've seen this year. It's just one more in a long line of films that takes aim at the free spirit of Millennials and makes them look like a generation of slackers and losers. It also has this really strange 80's movie vibe, except the super-annoying girl is friends with the socially awkward girl and they plot and scheme together. All it needed was a jock and a stoner, (actually, the stoner shows up about half way through the movie), and it could have been the worst John Hughes film ever made. The acting is obnoxious, the plot is useless, and the takeaway is simply, "I want my money back."